Home » Acting Advice Columns » “Create your own work!” Okay… about what? “Create your own work!” Okay… about what? Hello, I’m Guy Birtwhistle. I’m an actor. I came to the profession late, after years of playing in bands. I had a blank acting resume and needed credits quickly, so I started casting myself in my own short films. 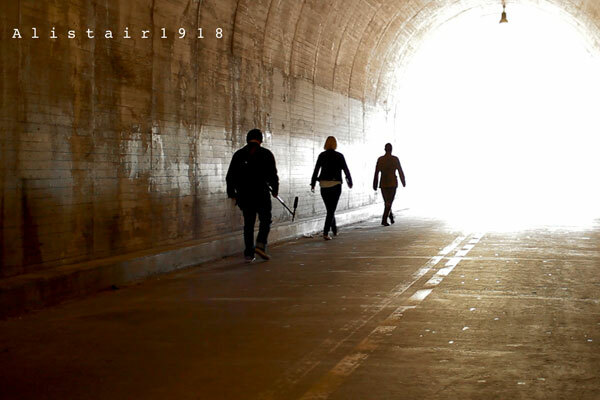 Fast forward to this summer, and my first feature film, ‘Alistair1918’ world-premiered at San Diego Comic-Con. As actors striving to forge careers in Hollywood, we often receive advice to “create your own work.” This is good advice. Creating our own work offers valuable experience acting in front of a camera, as well as broadening our understanding of what goes on behind it. It grows our network of filmmaker and industry contacts. And perhaps most importantly, someone may see your performance and hire you for their project (yes, I once booked a TV role from appearing in a short film). In this post, I’m going to talk specifically about filmmaking, which is my area of expertise. The same can be said for creating theatre projects, although the lifespan of a stage production ends after you close – filmed media lives on much longer. It’s cheaper and easier than ever to make films. The cameras are in our phones, editing programs come standard on most computers. There are thousands of filmmaker resources available for free online covering the technicalities of filmmaking from screenwriting, lighting, sound, to editing. So, where to begin? Start with the character, not the script. Start with developing your character first, and don’t worry about writing a full script right off the bat. Imagine you are being courted by the major studios, and there’s a pile of scripts on the table in front of you. What are you looking for in this pile? What character have you always wanted to play? A drug addict, vampire, social worker, alien from another universe, all of the above? You can be whatever you like BUT don’t try and write a script first; first develop your character. 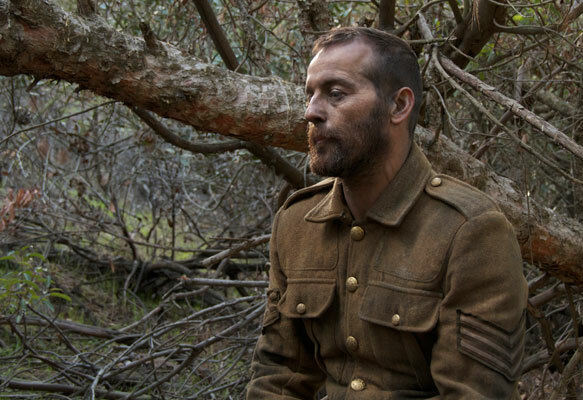 For example, I’ve always wanted to play a WWI soldier. I’m fascinated by that time period. I have family members who fought in that war. So, I created a WWI soldier, named him Alistair, and started my research. I know what Alistair likes for breakfast, what he said to his beloved wife on their first date, how he felt the moment he told her he was being called-up for war, and what was in every letter he wrote to her from the trenches. Being in love with playing your character is crucial. This devotion to your role will help see you through the tough times of production and post that lie ahead. Once I had the character of Alistair completely fleshed out and knew everything about the world he lived in, I needed to tell a story. Drama is interesting to watch, so you have to imagine the worst possible thing that could happen to the character you have created. What would make them scream, cry, beg for mercy, put them in absolute turmoil, turn their lives upside down? You have to throw them in shark-infested water. You have to be a monster, you have to be ruthless with them, hurtful. For my character, the worst thing would be for him to be transported a hundred years into the future long after his wife has died; he’s trapped there and no one believes his story. That’s how the script for ‘Alistair1918’ was developed. If you’ve done enough research, your character will find a way out of the predicament. That’s your script. I started by recording my voice on my phone as my character. Just a daily dairy of my character’s life. I shot some test footage on my phone with some piecemeal wardrobe. I wrote a couple of scenes and got together with some friends from acting class. We improvised, worked on the characters, our relationships. I bought a replica soldier’s uniform, called up a DP friend and we shot for a day. The footage from that first day is the first 15 minutes of the feature film. By the time we shot, the connection between the actors was so strong that we decided to just keep shooting. We made several short films over the course of two years that cut together as a feature. You can stop at ten minutes or a boxed-set of movies, it’s up to you. You are the star of the show. This is your project and you are the lead actor. You need to be front and center, the hero, first on the call sheet, the most screen time, the best coverage, or what’s the point of investing your precious resources, your time and money? Remember to play to your strengths as an actor. You don’t need a fancy camera, or the latest editing program – you just have to work really really hard on becoming believable as your character. The work is in the research. Then take your characters and put them through hell. People will want to watch, and will want to work with you. If you’d like to see how the film turned out, please visit http://alistair1918.com. Thanks for reading, and break a leg! Amazing article! I’m glad you got to make an entire feature film by self-producing. You didn’t really talk about the practical aspects though, what about money? How did you deal with it? Did you finance it yourself or were all the actors and crew volunteering? Thank you for your comment Julien. You’re absolutely right, there’s a lot more to the nuts and bolts of film producing than I covered in the article. My main focus was to encourage actors who may be thinking about it, to give it a shot. It’s not as hard as it looks from the outside.